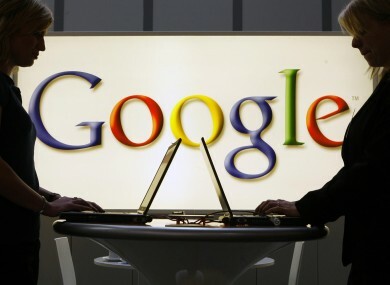 GOOGLE WAS ASKED to remove more than 345 million links from its search engine in 2014 over copyright issues. Google shares weekly reports of all the takedown requests it receives, but not yearly figures. However, TorrentFreak compiled all the reports it received each week and found that exactly 345,169,134 requests were made, an increase of 75% when compared to 2013. Most of the takedowns were sent for the domains 4shared.com, rapidgator.net and uploaded.net, with more than five million targeted URLs each. The largest number of complaints came from the UK music industry group BPI which made 60 million takedown requests last year. Google has taken a number of measures to discourage pirate sites such as downranking them and burying offending sites further down so fewer people will see them. In a document detailing how Google deals with piracy, it claimed that pirating happens because of the lack of options users have to access content legally. Piracy often arises when consumer demand goes unmet by legitimate supply. As services ranging from Netflix to Spotify to iTunes have demonstrated, the best way to combat piracy is with better and more convenient legitimate services. The right combination of price, convenience, and inventory will do far more to reduce piracy than enforcement can. Google doesn’t always comply with takedown requests. The company left up links to The Pirate Bay despite a complaint from BPI, while it sometimes takes “no action” if said links don’t appear to be infringing or if they’ve been taken down previously. Email “Google was asked to remove 345 million 'pirate' links in 2014”. Feedback on “Google was asked to remove 345 million 'pirate' links in 2014”.